As a producer, I sometimes feel I have failed when I look out at an audience for one of my shows and see it reflecting little diversity – by which I do not simply mean ethnicity, but also class diversity. The UK is going through significant social and economic challenges that have left our country deeply divided. Art has a crucial role to play in renewing a nation’s spirit and bringing communities together. But how successful are we at creating work that reaches out to audiences and communities where it can make the strongest connection? Three recent productions have underlined this question to me: The revival of Jim Cartwright’s seminal play Road at London’s Royal Court Theatre; at the Edinburgh Fringe, Flesh and Bone, a new play by Elliot Warren; and Doglife by Grassmarket Project, the second part in a trilogy devised with and starring former gangland enforcer, Thomas McCrudden. All three paint a raw and, at times, brutal portrait of society. In Road, we meet the characters of a northern street in a piece that feels rather like a contemporary twist on Under Milk Wood. Flesh and Bone relates the unfolding stories and challenges of a local community on an estate in east London. Doglife continues the true story of ex-con McCrudden which began in last year’s Doubting Thomas. Each play makes a direct and powerful connection and has an urgent message to share. But when I went to see them, I looked around at the audiences and was left wondering who the plays were actually speaking to. “Always good to see a dollop of urban grit on the fringe,” I overheard one audience member remark to another as they exited the venue after watching Flesh and Bone, while at the interval of Road many of the audience hurried to the bar to beat the rush for a glass of Prosecco. I am generalising and I don’t wish to ignore the strides these theatres (and others) have made to try to connect work across wide demographics. It is also absolutely vital that this work continues. But I am concerned that due to the challenges facing our economy, combined with theatre’s unaffordability for many, we are at greater risk than ever of theatre becoming elitist – both in terms of its audience and those who work in the industry. Road is a play ripe for revival. But it’s been a long time since Cartwright’s voice was last heard on the Royal Court stage. He is one of our most profound British playwrights of social comment and it troubles me that across all of London’s new-writing producing theatres, Cartwright’s more recent works have been largely overlooked. Cartwright is a writer who, like Steven Berkoff, would have once had multiple plays listed in the Edinburgh Fringe programme. Today that’s no longer the case. 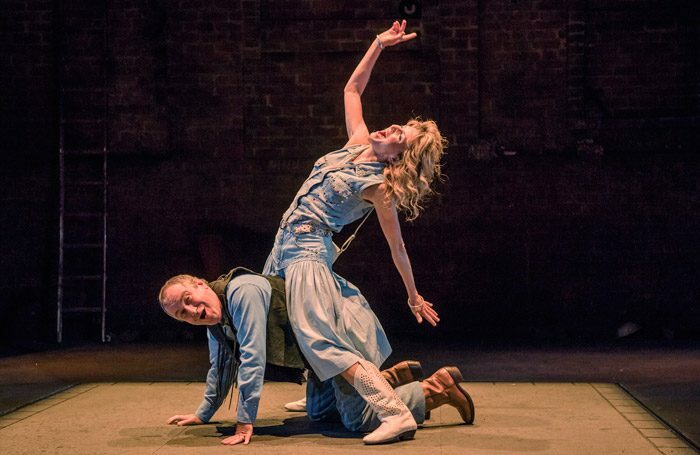 Describing to two colleagues the electric experience I had watching Flesh and Bone and the obvious influence of Berkoff on this work and its talented company, their response to my comparison was to instantly dismiss it as “old-fashioned”. But these are writers who have connected – especially regionally – with many young people often from more deprived communities. Where are their modern-day equivalents? Stand on Arthur’s Seat in Edinburgh and look away from the castle and you will see another side to the festival city, a side in which the world’s biggest annual arts festival means little to many of these communities. A play like Doglife – which could be dismissed as being underdeveloped – should be seen in this context, where it could speak directly to that community. We may well not be its target audience. When there is less opportunity and funding is drying up, it can reduce the range of voices breaking through that need to be heard. Theatre can affect change, but if it’s genuinely to succeed, then we need to ensure it’s not simply playing to people who already hold a similar viewpoint.